Elise has successfully transitioned from clinician (Registered Nurse), through to senior management levels in the health and aged care sector, and policy advisor in the Commonwealth and State government. 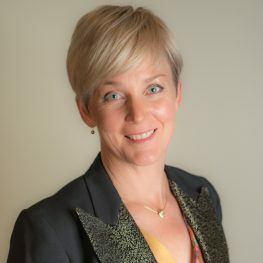 She is the CEO of the Australian Academy of Clinical Leadership, which delivers professional development programs to advance the clinical skills of health professionals and leadership skills of managers in health and aged care. Her PhD used action research to reveal the conditions needed to advance nursing practice. In this project Elise led the Rural and Isolated Practice Registered Nursing (RIPRN) pilot across rural Victoria, and the subsequent legislative change authorising registered nurses to supply drugs. This project involved advanced nursing training and engaging clinicians, managers and government officers in a collaborative effort to advance nursing practice, strengthen organisational clinical governance and redesign the service model. It also involved convening and facilitating a variety of forums and groups at the state level. Elise’s research uncovered the Autonomy Collaboration Paradox – the key to surviving in volatile and uncertain times such as these. She specialises in creating leaders and cultures that empower staff to take initiative and responsibility at the point of care – empowering them to make the right decisions at the right time. Elise authored the book “Laying Bare the Power of You” which unpacks the anatomy of self-empowerment. Her thesis is that empowered leaders empower others to perform at ever higher levels, reaching and growing their potential. Elise’s public policy experience includes both the Australian and Victorian governments. In these roles, Elise has lead major change management processes across Victoria, including developing government policy and strategies, reviewing and changing legislation, leading stakeholder engagement and communication strategies. She has a deep understanding of the regulatory, fiscal and political context within which health and aged care services are provided. As well as a PhD in Nursing, Elise is a Registered Nurse with a Masters in Public Policy, Graduate Diploma in Business (Management) and an Advanced Diploma of Facilitation.